This is a phrase I often heard as a teenager due to having poor posture. Now as an osteopath I’m always advising patients and the public the benefits of good posture. Each individual osteopath has their own way of describing posture, however TED-Ed and Murat Dalkiliç have produced a great video showing the benefits of good posture. 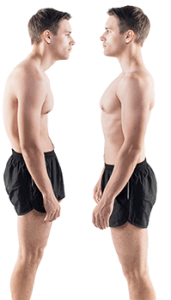 Has anyone ever told you “stand up straight”, “stop slouching” or “you have bad posture”? When carrying weight is your posture correct? How often do you sit in an awkward position? If you would like further advice on the benefits of posture then book an appointment with one of our osteopaths at one of our London clinics.